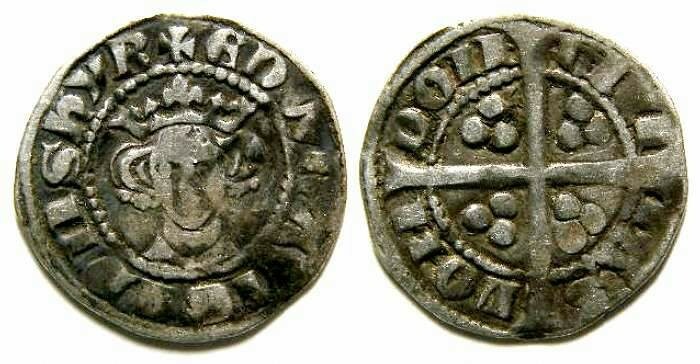 English, Edward I, AD 1272 to 1307. Silver penny. Denomination : Silver penny. Mint : London. Date : class 9b, issued AD 1299 to 1301. Size : 17.7 x 18.2 mm. Weight : 1.40 grams. Obverse : Head of Edward I forward, with EDW R ANGL DNS HYB around. Reverse : Long cross with CIVITAS LONDON around.